SUV tyres have different demands placed on them than regular car tyres and so it’s best to make sure you have the highest quality SUV orientated tyres fitted at all times, just like Linglong’s L689 tyres. Suitable for a number of environments and conditions, you’ll never be restricted where you can go with these tyres and this turns every journey in an adventure and these reliable tyres won’t let you down. 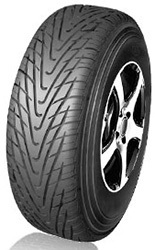 Choose L689 tyres for the best results.